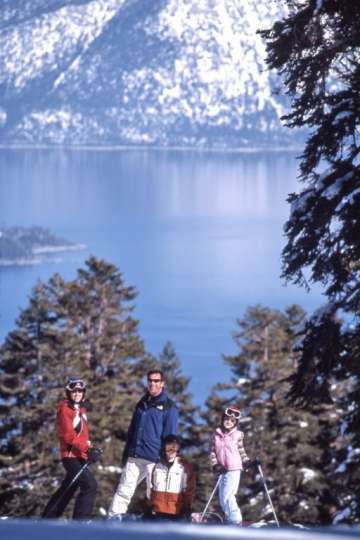 Northstar California is known as one of the premier resort communities near Lake Tahoe . It is the epitome of luxurious mountain living located about 3 hours from San Francisco, 1 hour from South Lake Tahoe and 42 minutes from Reno. Northstar real estate is easily accessible and the resort offers amazing winter recreational opportunities with 97 ski trails spread out over 3,000 acres. Snow sport enthusiasts can look forward to snowboarding, skiing, award-winning terrain parks, cross-country skiing, tubing, ice skating and snowshoeing. Summer recreation features an 18- hole golf course, driving range, tennis, hiking, mountain biking, fly fishing, scenic lift rides and equestrian center. Call us today (530) 563-6633 or fill out our contact form to find your perfect Northstar home. Spa, massages, chiropractic care & yoga. Retail stores such as North Face, Patagonia, Kalifornia Jean Bar and extreme sports outfitters. A variety of cuisines with sushi & pizza restaurants, specialty dessert shops and more. Activities ranging from gem stone painting, pottery, bungee trampoline and bike rentals. Major events like the Tough Mudder, Lake Tahoe Autumn Food & Wine Festival and the Beerfest + Bluegrass festival. With over 1,400 properties available, North star real estate is predominately made up of second homes. Northstar homes for sale offer condos, shared ownership opportunities and new custom single family homes with superior finishes. Big Springs is a newer development phase in North star real estate. A majority of the homes in Big Springs encompass that old Tahoe style and generally are over 3,000 square feet. This is one of the premier neighborhoods offering Northstar homes for sale. Northstar Mountainside properties feature luxury ski- in and ski out properties. This Northstar real estate opportunity includes LEED certified homes with modern mountain- style architecture. Also available for use to Mountainside residences is the Tree House, a brand new recreational center available year round with outdoor and indoor amenities. There is a pool, hot tub, volleyball court, coffee bar, jump zone and so much more. The Ritz Carleton hotel and residences, Constellation and Homerun townhomes offer ski in and ski out living. Other subdivisions areas include the Northstar Village, which is just steps from lift access to the slopes. Condo communities include Home Run, Gold Bend Condos, Indian Hills Condos and Aspen Grove Condos. Many homes feature stunning mountain views and sunny exposure. Also for sale are vacant lots providing the perfect opportunity to build your dream mountain getaway. When North star real estate is purchased owners in this community benefit from a shuttle service as well as access to Northstar Recreation Center which features a fitness center, tennis courts, pools and hot tubs. With so many activities conveniently located right outside your front door and the added benefit of being so close to Lake Tahoe and Truckee, Northstar at Tahoe real estate offers the perfect real estate opportunity. Call us today (530) 563-6633 or fill out our contact form to find your perfect Northstar home. "I worked with Nancy Davis at her team at Davis Yoder Realty selling my house up at Tahoe Donner. They were all very responsive and really know the market very well. The results were impressive. My next... continued"